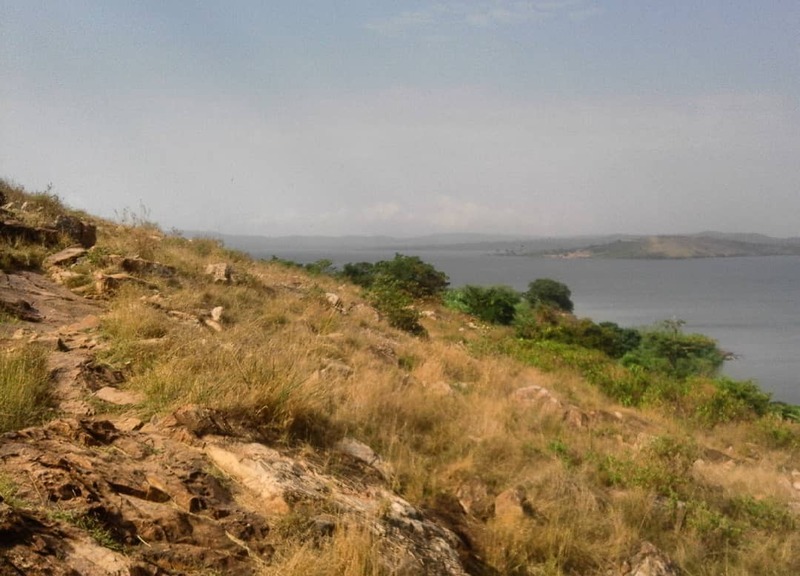 The rocky path to Lingira village. "God, in His mercy, often shares only the next step." That truth jumped off the page of the e-book I've been reading. The words were from a guide on writing newsletters, penned by a former missionary to China. Her sentence confirmed what I have long presumed, but maybe didn't fully believe. Back in early 2009 (before living in Uganda was in my near future), I attended a Christian writers' conference. I don't recall much of the topics or workshops that day, but a portion of a message has been seared onto my mind. A professional writer, whose name I can't recall, spoke of God giving her a vision. I think it was about the writing process, which often seems daunting and scary. He showed her a dark valley and as she wondered how she would go down and across the vague unknown, a footstep lit up in front of her. As she stepped onto it, the next one lit up before her. And, as she took the next one, the next step was illuminated - all the way across the dark valley. God has used that image over and over to remind me He's faithfully leading me step by step. I cannot see ahead even more than one or two steps, but that is okay; I don't need to. I just need to keep taking the next step. I often tell people if you had told me 15 years ago that I would live and work in Uganda, I would have either broke down in tears or laughed incredulously at the possibility. It was completely beyond the realm of my imagination. The missionary author I referred to earlier shared how God initially asked her to make a two-year commitment and she agreed and obeyed. That step of obedience led into 20 years of ministry in China, but God in His faithfulness did not show her the long haul, but only the next step. The same pattern can be seen in many of the Biblical lives whom we read about and love. My favorite telling of this truth is in the life of Abram/Abraham. It seems to me, according to the end of Genesis 11, that Terah, Abraham's father, had been told to go to Canaan. I am not sure why anyone else would pack up his entire family and belongings and set out for a new land, unless God had told him to. But, Terah didn't make it to Canaan. For reasons we are not told, he settled in Harran and died there. Genesis 12 begins with "The Call of Abram." It appears God repeated the instructions to the next generation. And, accompanying the order to go were incredible promises made to Abram and to his descendants. "By faith Abraham, when called to go to a place he would later receive as his inheritance, obeyed and went, even though he did not know where he was going." By faith in an unseen God and His unshakeable promises, Abram heard, he obeyed, he went - to a strange place. Verse 9 says Abram's faith did not end there, as remaining in Canaan, by living in tents and raising his family in the new land, also required faith. God's been reminding me of Abram's faith and obedience. He's been assuring me He knows the next step and all of the steps of my journey. He's reminded me of His faithfulness to call me to Uganda, to keep and sustain me here, to bless me here in ways unimaginable. And, as I look ahead to what appears to be a dark, unknown valley, He comforts me He knows my "unknowns." It's not me to plot the course, but to focus on my Heavenly Father. Is there a next step you believe God is leading you into? P.S. I believe God is leading me into a new direction. To read more about it, read my latest e-newsletter. May the islands praise Him! "That is genuine faith - believing and declaring what God has said, stepping out on what appears to be thin air and finding solid rock beneath your feet." 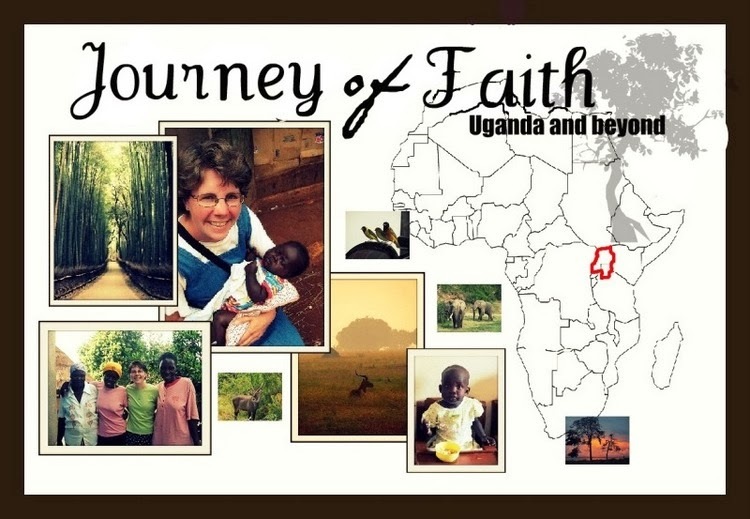 - From "Streams in the Desert"
I began this blog when I believed God was preparing me to come to Uganda in January 2010. God gave me courage and strength at that time through Hebrews 11:8. "By faith Abraham obeyed when he was called to go out to a place that he was to receive as an inheritance. And he went out, not knowing where he was going." God assured me that I may be entering an "unknown land," but He knew it and was preparing the way. I have been in Uganda for awhile now (from Jan. 2010 to end of April 2011 and August 2011 to ?) and I am so blessed as I live and work here. I love God's sovereignty - His ability to take anything in life and use it for His glory and our good. Thus I believe that no matter the journey God has called each of us on, it will be an adventure in faith and He invites us to "hang on for the ride." And I can guarantee that the blessings, challenges, joys and growth will be beyond what you could imagine. I can testify personally to this! :) So I invite you to join me on this "journey of faith." And, I pray that you too will draw closer to our Sovereign and Loving God on your own journey - wherever it may lead. "When I in awesome wonder..."